Our data—which was picked up in Forbes—suggests companies have a long way to go in their efforts to address women. As it stands, our latest data shows leading finance apps share a key characteristic: "lopsided demographics" (more male users than female). This suggests all finance apps need to double-down in their efforts to acquire and engage female users. It’s well worth the effort—and the budget--if we consider the size and scale of this largely untapped market. 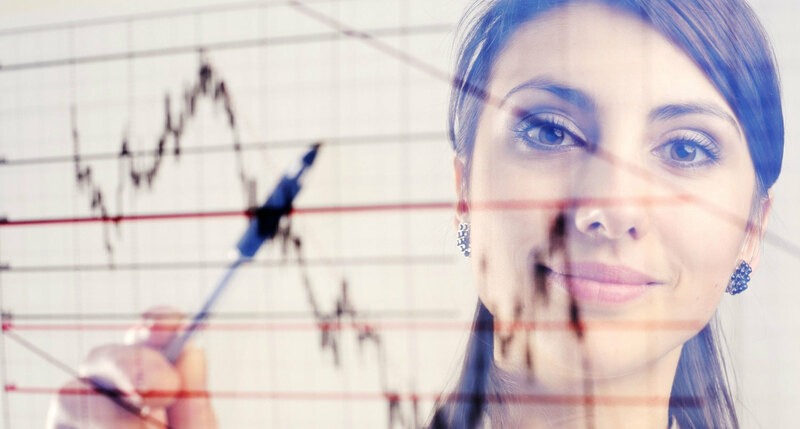 Data from the Boston Consulting Group estimates women will hold an incredible $72 trillion, or almost one-third (32%) of total private wealth by 2020. As pointed out on our earlier blog, the gender gap represents both "a challenge and opportunity" for the industry. App marketers can start by questioning stereotypes and experimenting with mobile creatives sure to address and engage women. As Forbes points out, there are no easy answers. Fortunately, recent research [notably the 2017 Winning Over Women study published by Kantar] sheds important light on the messaging women value most. The study found that banks are failing to connect with women because their assets and advertising are not key concepts such as trustworthiness, dependability, and accessibility. What’s more, women find aspects of the imagery and language off-putting and disengaging. Kantar stresses that getting ad creatives right is essential to unlocking a massive GBP133 billion in incremental investment. A more recent report, published by BNY Mellon in collaboration with the United Nations Foundation, aptly titled Powering Potential: Increasing Women’s Access To Financial Products and Services (PDF), blames flaws in advertising design and messaging for a gender gap that at the root of why retail banks are missing the mark. It costs them $40 billion in additional global revenue across products including checking and savings accounts, credit cards and personal loans. An interview with Heidi DuBois, BNY Mellon Global Head of Corporate Social Responsibility and Social Finance, provides some important clues to the creatives sure to appeal to a female audience. “Women tend to not like to be sold to, they like to have problems solved, know and stick firmly to what they want when they go into these settings. When they open a business banking account, end of story,” DuBois said in an interview. Against this backdrop, it's clear that a hard-sell message is a huge turn-off. It follows that ad creatives that are upfront about costs and benefits and, more importantly, empower women to decide their financial futures would resonate. A quick check of ad creatives that account for the greatest share of impressions on our platform reveals some stand-out examples of how some smart companies are closing the gap. A good example is Stash Invest. In the case of the iOS app, one fresh video, running just one week (so far) on the AdColony network, accounts for more than one-third of impressions. In addition to displaying a woman’s hand paired with a female voiceover, the ad clearly explains what the app offers and can deliver. The company also invests in a string of native ads (on the Mopub network) to assist with storytelling, ensuring app marketing follows a more informative “show, not tell” approach. It’s a similar approach on Android, where the same video is significantly the hands-down winner. 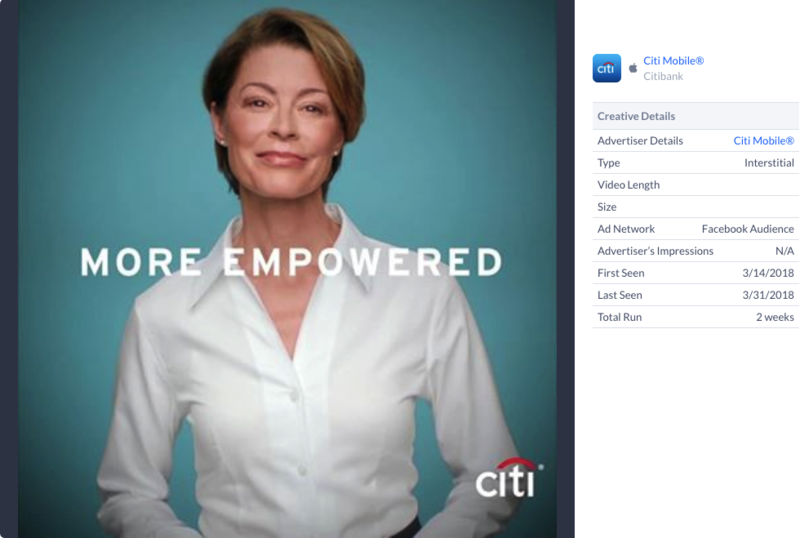 Citibank is also mixing up its mobile ad creatives to boost app appeal to a female audience. The CitiMobile app on iOS features a variety of banners and creatives that portray confident women with wording that speaks volumes. More empowered – it's not just a slogan. It's the message mobile finance apps will have to deliver or risk leaving money on the table. The takeaway: Finance apps targeted at the female demographic are a massive opportunity. But first app marketers have to rethink their creatives and reality-check if campaigns are driving positive results. It requires the ability to access and analyze mobile advertising, and the mobile ad intel provided by the Apptopia platform is a good starting point to examine your options and choose the right approach for your audience.